My passion for filmmaking began with one point and shoot camera. It was a gift from my father before I departed on a solo backpacking trip through South America. I had recently quit my job as a newspaper reporter in Phoenix and I felt creatively stuck. As I travelled, I began to pull out my camera more frequently to film my journey and the people I met along the way. I felt a need to document all of the new sights and sounds around me. In hindsight, the videos are terrible, but they fueled my fire for filmmaking. Since then I’ve filmed projects from the waterfalls of Iceland to the streets of Washington, DC and I hope this passion continues to take me around the world. 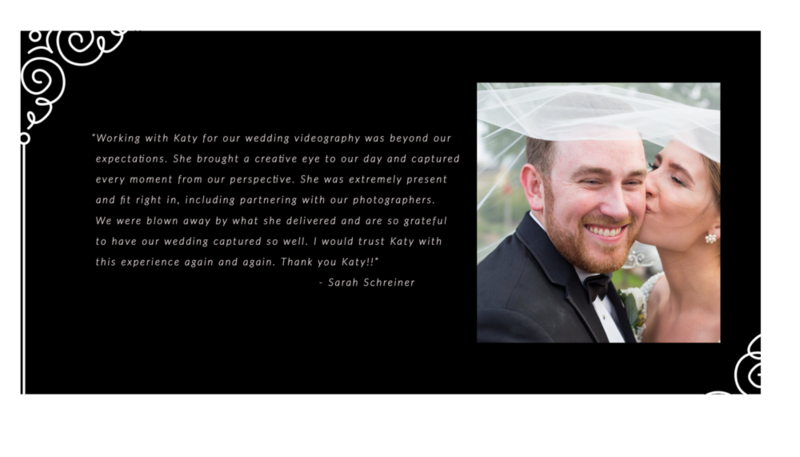 Katy Roberts Media is service dedicated to making your film dreams a reality. Video content is the wave of the future and can make an incredible impact whether you are selling a product, spreading an idea, or instilling a memory. Let me help you create that inspiration. I am based in Charleston, S.C. but I am always willing to travel for projects. Production prices vary. To discuss a project idea or receive a quote, contact me here, I look forward to talking to you!